LONDON (Reuters) - U.S. pharmaceutical company AbbVie said it was reconsidering its $55 billion takeover of Shire in the wake of U.S. government moves to curb deals designed to cut taxes, wiping as much as $13 billion off the London-listed firm's stock price. Chicago-based AbbVie said late on Tuesday it was responding to the U.S. proposals which aim to make it harder for American firms to shift their tax bases out of the country and into lower cost jurisdictions in Europe. AbbVie's move for Shire, a leader in drugs to treat attention deficit disorder and rare diseases, was announced in July amid a spate of similar takeover deals in the pharmaceutical sector. It proposed creating a new U.S.-listed holding company with a tax domicile in Britain, which applies low tax rates to patent income and has passed laws that make it easy for companies to shift profits into tax havens. The news hammered shares in Shire, sending them down 23 percent, to where they were before the deal talks emerged in June. Shares in larger rival AstraZeneca, which had rebuffed a $118 billion takeover bid from U.S. drugmaker Pfizer Inc, fell 2.9 percent. AbbVie said its board will meet on Monday to consider the impact of the U.S. Department of Treasury's proposed unilateral changes to tax regulations announced last month, and to also consider whether to withdraw or modify its recommendation on the Shire deal. Shire urged AbbVie to push ahead, pointing out that the U.S. drugmaker might have to pay a breakup fee of $1.64 billion were it to renege on its recommendation for the deal to shareholders. "The board of Shire believes that AbbVie should proceed with the recommended offer on the agreed terms," Shire said in a statement. And the British drugmaker waived a requirement that AbbVie give it three business days' notice before holding the board meeting. 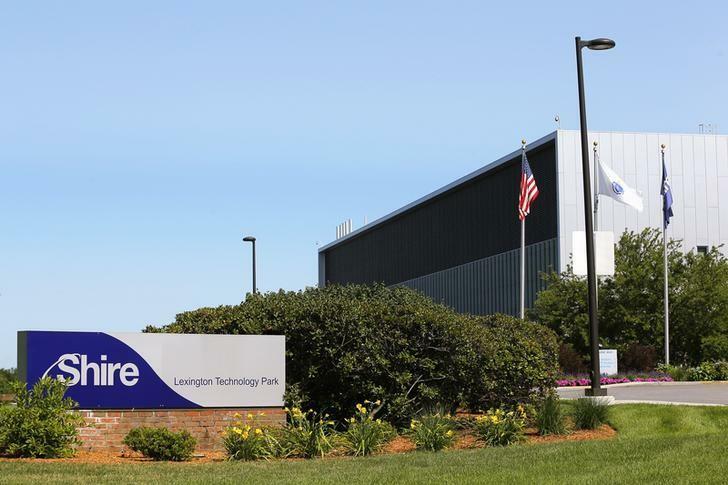 AbbVie's second thoughts on the deal surprised Shire investors, coming just weeks after AbbVie chief executive Richard Gonzalez, in the wake of the Treasury proposals, told employees of both companies he was "more energized than ever" about the transaction. Moreover, tax advisers had said the Treasury measures were unlikely to significantly impact most inversion deals. By domiciling the combined group in Britain, AbbVie would be able to cut its 22 percent tax rate to about 13 percent for the new company. Besides the tax advantage, Gonzalez said AbbVie was attracted to Shire's portfolio of lucrative drugs to treat rare diseases and other medicines in development. Buying Shire would also reduce AbbVie's reliance on arthritis treatment Humira, the world's top selling medicine, whose $13 billion in annual sales accounts for more than 60 percent of company revenue. Although Humira's U.S. patent lapses in 2016, AbbVie hopes it will take years for rivals to develop generic formulations. The number of tax-inversion deals, particularly in healthcare, have surged in the past year, putting pressure on the Obama administration to clamp down on corporate deals aimed at lowering tax bills. The U.S. Treasury proposed changes to tax regulations that would limit tax inversion, including a prohibition on "hopscotch" loans, which allow U.S. companies to access foreign cash without paying tax in the United States. Cenkos analyst Navid Malik said AbbVie, by calling for the board meeting, could be playing "hardball" to win better deal terms. "They could have put this out to try and get Shire back to the table to potentially renegotiate, but I don't think that will happen," he said. AbbVie, by walking away from Shire, would run the risk of finding itself a takeover target by a foreign acquirer with a cost-cutting bent, such as Valeant Pharmaceuticals International, said Sanford Bernstein analyst Ronny Gal. BMO Capital Markets analyst Alex Arfaei maintained his "Outperform" rating on AbbVie, saying it could shrug off the hefty breakup fee if positive trends for the company are seen this year - including the launch of a hepatitis C drug and favorable data from trials of potential blockbuster treatments for endometriosis and cancer. Pfizer abandoned its bid for AstraZeneca in May after its offer was rejected but, under UK takeover rules, can make another run at its British rival in late November. Many analysts have speculated Pfizer might indeed re-approach AstraZeneca with a higher bid, in hopes of locating the combined company in tax-friendlier Britain. But Credit Suisse analyst Vamil Divan late on Tuesday said AbbVie's reconsideration of the Shire deal, presumably motivated in part by potential U.S. roadblocks for tax inversions, could dampen Pfizer's interest in AstraZeneca. Some of the world's top hedge fund managers, who had been building up "long" positions betting on future share price gains at Shire due to AbbVie's bid interest, faced getting burnt by AbbVie's decision. Data from Britain's Financial Conduct Authority (FCA) showed that no fund had a major "short" position of more than 0.5 percent that marked a bet on Shire's shares falling in future. "We just don’t know what's happened," said one hedge fund manager, who declined to be named.